Ghosn says the capital alliance between Nissan and Renault is stable. YOKOHAMA, Japan (Reuters) -- Carlos Ghosn sees no need to change Nissan's capital alliance with Renault after France raised its stake and voting rights in Renault last month. The French government owns almost 20 percent of Renault and has said it wants to safeguard French interests at the automaker, which is deepening its ties with Nissan. However, Renault has warned that the government's move could damage the alliance. Ghosn, who is CEO of both automakers, said the capital alliance between Nissan and Renault was stable and had "zero influence" on either companies' daily operations. "You need to have a strong reason, a strong strategic reason or a strong operational reason, to make the change," Ghosn told reporters in Japan today. Ghosn last month lost a clash with French Economy Minister Emmanuel Macron, failing to block a French law that provides double-voting rights for long-term shareholders. 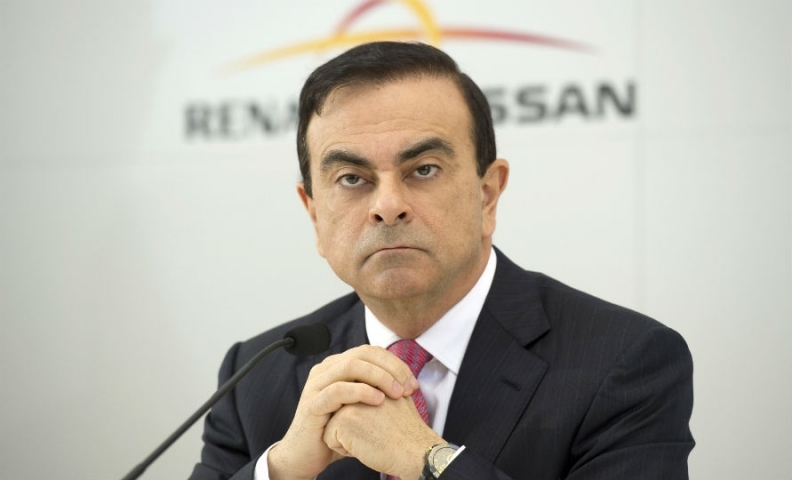 Ghosn has previously said there is concern that the law could affect the balance of the 16-year-old Renault-Nissan alliance. Renault owns 43 percent of Nissan and Nissan has 15 percent of Renault, with no voting rights. After the French government increased its Renault stake, some analysts expected Ghosn to reduce Renault's stake in Nissan to below 40 percent, a move that would restore Nissan's voting rights in Renault. Since Renault rescued Nissan from bankruptcy in 1999, the Japanese carmaker has outgrown its parent to account for two-thirds of their combined 8 million vehicle sales and a bigger share of profit. On May 13, Nissan said it contributed 494 million euros to Renault's first quarter earnings as a result of its own earnings for the same quarter. Ghosn also said today that Nissan had allocated sufficient funds to cover recalls linked to Takata Corp.'s faulty airbags. He declined to say how much the company had put aside to cover additional recall costs. Nissan expanded its Takata-related recalls last week as a precautionary measure, along with Toyota and Honda. Roughly 31 million cars have been recalled worldwide since 2008 over Takata airbag inflators, which can erupt with too much force, spraying shrapnel inside the car.